The Wii was a legendary console. I didn’t own one during its heyday, but almost all of my friends did. I would always get them to download Ocarina of Time so I could play it, hehe. Wii Shop Channel had a good run; I just wish Nintendo was not so stingy with their VC support on the Switch. wHeRe’S GaMcUbE SuPpoRt RegGie? On a seperate note, I too remember the DKC2 hotel rental. Never was allowed to rent it, though. The Wii was fantastic. It felt so fresh and new. I don’t know why Nintendo has relegated the Switch Virtual Console to a handful of NES games. It’s baffling. They have the largest library of classics, and are barely scratching the surface of it. I know, right? Anyway, thanks for the inevitable news about the Wii shop. Indeed, it’s unfortunate for the Wii shop. I just wish that Nintendo would make it possible for Switch’s e-shop to have the Wii Shop music. I had a blast with the Wiiware game called Eco Shooter: Plant 530. It might be only a rumor, but I’m also looking forward to Konami’s ReBirth series for Switch. I wasn’t personally a fan of the Wii, as I just hated the motion controls, but the virtual console was pretty huge. You’re right, there was something magical about launching those old favourites on a modern console when that just hadn’t been a thing before. While I have to disagree on that (I loved the motion controls), but the Virtual Console was something special indeed. It’s great that resurrecting retro titles is now the norm, but – as I said – it is now inevitable and derivative. The Wii’s Virtual Console felt trailblazing, and it’s a baffling mystery how each subsequent Nintendo retro library keeps getting smaller and smaller. The handling of retro titles on Switch is an embarassment, especially compared to the Wii Shop channel (although I’d say NES and SNES games were slightly overpriced for my liking, moreso the former given how archaic that era was). It was one of the better aspects of the system, it’s a shame the memory limitations of the thing was so bad, Nintendo has yet to make a system with a decent hard drive to hold stuff, moreso with how heavy games are getting nowadays. I’ve mixed feelings towards the Wii to say whether I like it more than the N64 or GC with their fairly underwhelming library of games, I’d have to check which system had more games that I enjoyed someday. The retro title situation on Switch is dumbfounding. And what’s up with Nintendo’s preference of re-releasing only NES games? I get that it was their first home console, but every time they only re-release one console, it’s always NES. Even though consensus is in favor of SNES. It’s weird. I really liked the Virtual Console service, so seeing its original incarnation abandoned is truly the end of an era. I remember seeing this post and realizing I had neglected to download all my purchases on that system. Fortunately, I arrived just in time to get them all back, which is good because I don’t believe the Wii U Virtual Console has TurboGrafx-16 games. 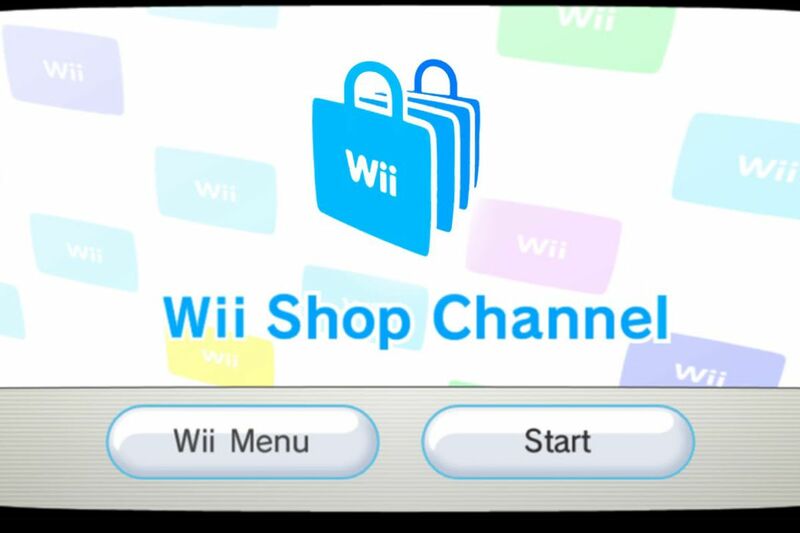 One thing few mention about the Wii Shop Channel are the number of imports you could buy ROMs legitimately for. I was able to play Sin & Punishment, Cho Aniki, Bio Miracle Bokutte Upa, and other games you would have had to have spent a lot of money to have in your collection otherwise. Some of these have gotten expensive in the aftermarket, and even ones that haven’t still have the shipping costs to factor in. On that note, there were some expensive domestic games on there too. If you wanted to play these through legitimate means the only other way could be cost prohibitive. Super Turrican, The Last Ninja 2, Sonic The Hedgehog (Master System), or Air Zonk weren’t, and aren’t cheap. And there were the original games like the Konami Rebirth games, and Muscle March. Stuff if you didn’t move to an SD card, and then backup again in case that card becomes corrupted, you lose forever. But as sad as it is to see it go it was expected. Everyone should have known at some point that the company would move on, and shut down these store servers. It’s a reality of the situation going forward. A business wants people to get on the next big thing. Supporting a store for a defunct platform isn’t going to remain profitable forever. While some will deride that as a reason to never buy stuff digitally, one needs to realize even the physical games will cease to work at some point. A capacitor bursts, and corrodes the game. Or the console it ran on has a motherboard failure. While not a perfect solution, buying digital releases is a means to legally have these classics once again should that happen. There will always be a debate over digital distribution, but the fall of the shop channel is an example of the good, and the bad about it. I haven’t used the virtual console service in a long time. Now I’m sad to hear that I’ll never get the chance to go back to it. I just saw this post today and I didn’t know that the Wii Shop Channel shut down.😖 I feel like I’ve been living under a rock.